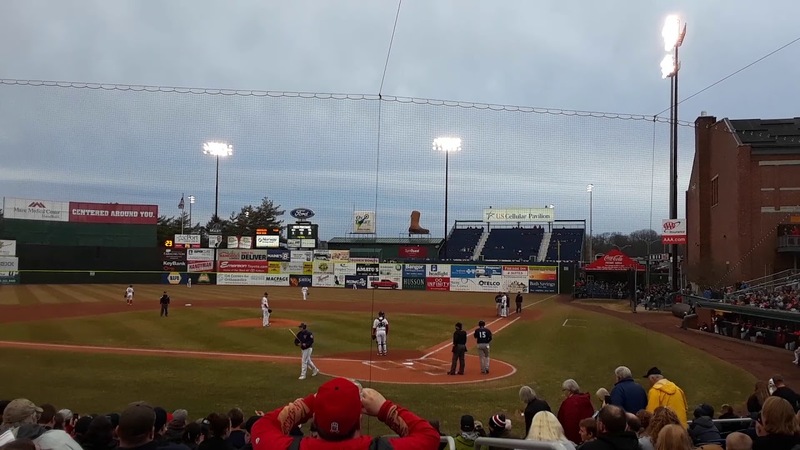 Tebowmania swept through Southern Maine on April 13, as Portland baseball fans welcomed the former college football great with open arms during the Sea Dogs' 2018 home opener at Hadlock Field. Tim Tebow, 30, enjoyed a rousing ovation despite appearing as an opposing player. 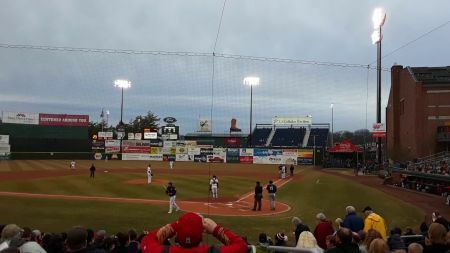 Of course it should be noted that the Boston Red Sox don't have a real rivalry brewing with the New York Mets, but it's still a bit odd for an opposing player to receive such adoration at Hadlock Field. But that's just the kind of transcendent mainstream superstar that Tebow is. Before the contest, he made the rounds -- completing friendly interviews with the media, signing autographs and snapping selfies with his adoring fans. Even though it's been close to a decade since his legendary college football career ended, his star power hasn't faded. Now an outfielder for the Binghamton Rumble Ponies, Tebow wowwed the crowd, showing off ridiculous power during batting practice. The former Florida Gators and Denver Broncos quarterback proved he hasn't lost an ounce of muscle over the years, as he crushed back-to-back pitches over the outfield wall towards the end of BP. Unfortunately for Rumble Ponies supporters, he ran into some tough luck once the game got started. Facing 2016 Boston Red Sox All-Star Drew Pomeranz, who is in Double-A on a rehab assignment, Tebow struck out looking in his first at-bat. Pomeranz fooled him with some high heat, before catching him snoozing with some tricky off-speed stuff. If anything the at-bat proved, it's that Tebow needs plenty more seasoning before he'll be able to get a crack at competing in the big leagues. And for Pomeranz, it showed he's getting closer to a call-up back to the Red Sox. Tebow finished the game 1-for-4 with two strikeouts, while Pomeranz picked up the win. Tebow's season will continue on at the Double-A level for now, and Pomeranz is expected to be back in Boston sometime in the near future. As for the Portland Sea Dogs, they'll continue to groom and season the next wave of Red Sox prospects.